Planning what to do on Christmas in London? We know what is offered in the capital of Great Britain! London has so many attractions and activities, pick up those you love more and enjoy an amazing Christmas in the city. Christmas lights in London deserve special mentioning. The way London is illuminated is a real art and every year the main streets attract people of all ages to come and see the magic in the air. As usual, you will be impressed by amazing peacock-themed installation in one of the major shopping destinations in London – Bond Street. Just like Bond Street Christmas lights, St Martin’s Courtyard Christmas Lights will glitter until 3 January. This shopping area boasts an enchanting installation of holly leaves, berries and baubles and brings magical spirit. Until 5 January go to Oxford Steet and Regent Street. 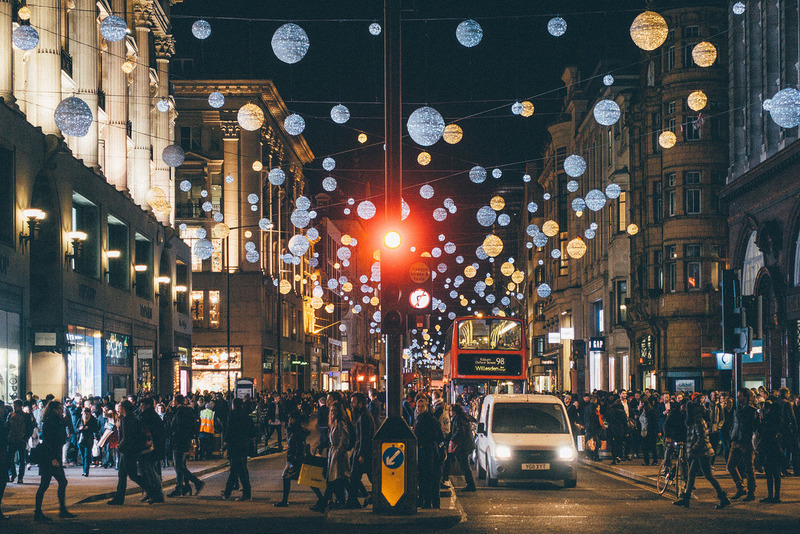 This year it will be the 57th Christmas lights installation on Oxford Street and it never leaves Londoners disappointed. This year you will see thousands of glittering stars in the street and you can dedicate one of them to your friends or family members thus supporting children’s charity NSPCC. Christmas lights installation on Regent Street is one of the biggest ones in the city and this year it represents fairy spirits and sweeps. 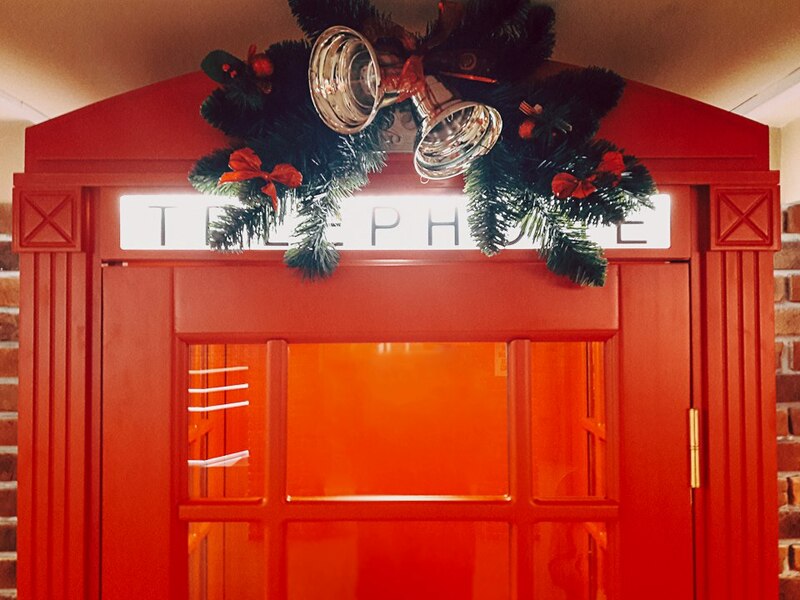 Until 8 January 2017 visit Shepherd Market, Carnaby, Covent Garden and Seven Dials because these are other venues for amazing dazzling lights and glittering decorations where you will plunge into Christmas atmosphere. 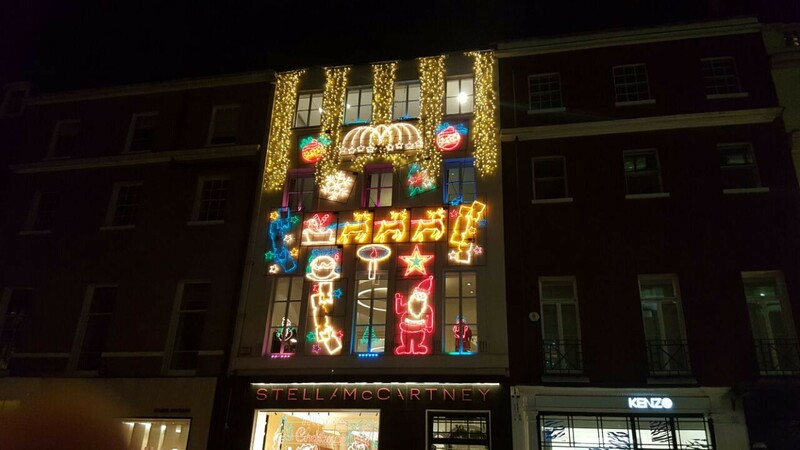 Carnaby Street has prepared a festive lights installation in collaboration with the Victoria and Albert museum that is called ‘You Say You Want a Revolution? Records and Rebels 1966-70’. Check out this colorful and stylish art and then have a look at jaunty things in the V&A pop-up shop on Carnaby Street. As twilight falls the magic begins at Kew. Take your family and friends to a fairy journey where you will explore glittering paths around the gardens, wander about huge crystals and crystal flowers, walk through the illuminated tunnel and sing classic Christmas songs with the karaoke. There is entertainment for everybody: little kids, couples in love, old friends and families will have something to their taste. For all the theatre-lovers and concert-goers London has prepared a wide choice of events to celebrate Christmas. Until 24 December go to the Royal Albert Hall because they have a great program for Christmas Festival 2016 full of carols and Christmas songs performed by choirs and singers. After Christmas check out the Royal Albert Hall for more music, dance, light shows and even indoor fireworks. Otherwise, take your family and attend The Snowman at the Peacock Theatre. It is a magical Christmas story of a boy whose snowman came to life on Christmas Eve. Together they go on a fairy journey and meet many magical characters. Hurry up to buy your ticket at £47.00 and attend The Snowman until 1 January. 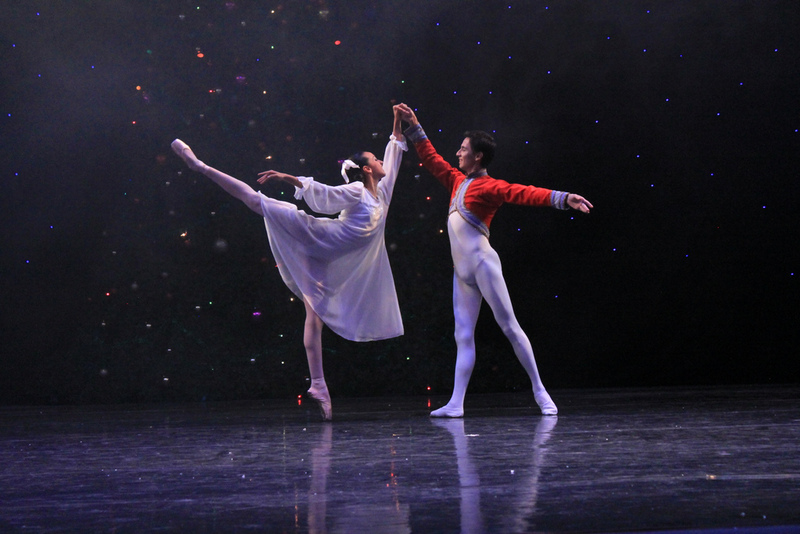 Until January you can admire the famous Tchaikovsky’s Nutcracker ballet at London Coliseum or at the Royal Opera House. Until 22 January enjoy The Little Matchgirl at the Sam Wanamaker Playhouse. This magical play with tickets starting from £10.00 was written by Joel Horwood and inspired by the tales of Hans Christian Anderson. Until 14 February you have a great opportunity to listen to Aled Jones, Katherine Jenkins and Glenn Miller in one of the concerts during Raymond Gubbay Christmas Festival at Barbican. There will also be the Viennese New Year’s Eve Gala and a special concert with greatest movie soundtracks written by Zimmer and Williams who have worked with Jurassic Park, Pirates of the Caribbean, Harry Potter, The Da Vinci Code and many other films. 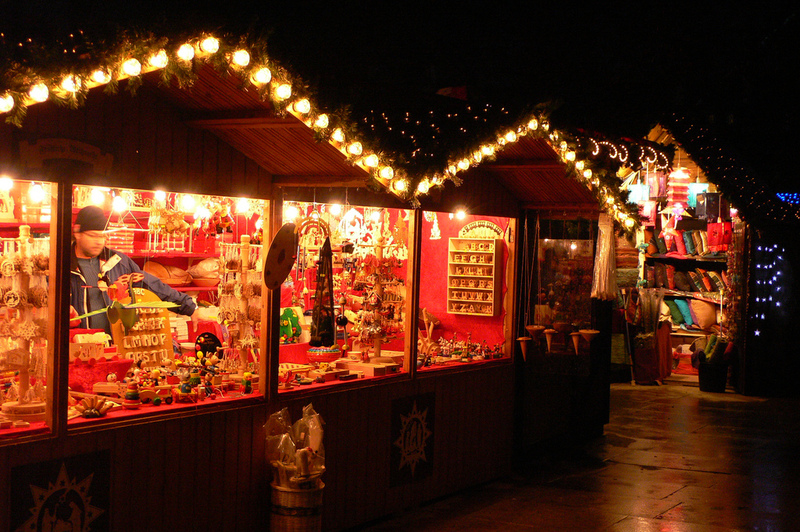 This weekend is going to be a great shopping time because London holds so many Christmas markets at a time! Lee Valley White Water Centre invites you to join in the festive atmosphere at its Christmas Market where you will buy Christmas gifts, amazing festive decorations, have a hot drink and meet Santa Claus. On 17 December visit The Maker Christmas Fair at Battersea Art Centre to have a look at antiques, community and lifestyle goods or Venn Street Christmas Market to shop for fresh delicious food and festive delicacies from all over the world. Shop for unique or handmade items in front of the famous art gallery at The Tate Modern Christmas Market and experience its festive atmosphere until 23 December. The next day go to Greenwich Market because it is open until 24 December. Besides great Christmas shopping stalls with crafts, jewelry, antiques, fashion, art, they have prepared gorgeous lights, children’s Lantern Procession with a jazz-band and Father Christmas waiting for you in his Greenwich Grotto. After Christmas you can market at Kingston where you’ll find a wide choice of festive gifts and treats until 31 December. In 2017 head to Leicester Square transformed in a traditional Christmas market, a stage for shows in the Belgian spiegeltent and Santa’s grotto. We wish you a merry Christmas and amazing time in London! Spend it with pleasure and have fun. 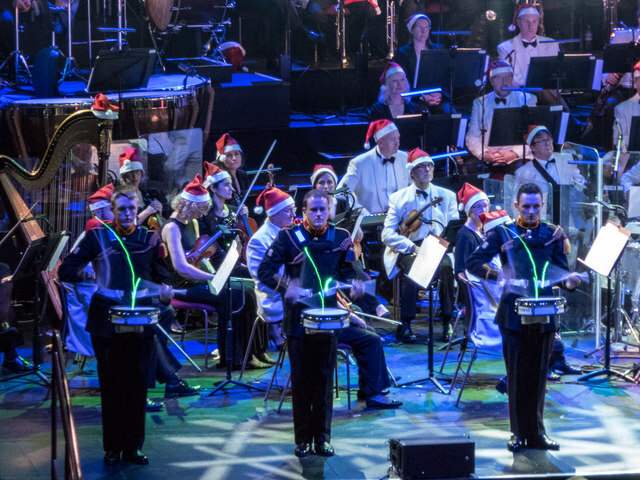 Other great activities for Christmas time in London are described here.